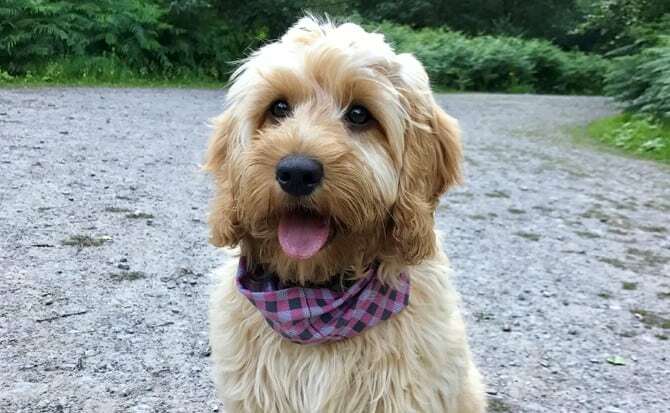 Evie is a cheeky 5 month old cockapoo puppy who lives in Cheshire, she would love to share with you some words of wisdom about food. “I thought it was about time I shared with you the secret to my good looks. To look good on the outside, you need to feel good on the inside, right? To enjoy an active lifestyle and outdoor adventures, you need to be fit and healthy and that can only be achieved with a great diet. Well, when I first arrived at my forever home I was 8 weeks old and I did not look or feel great. My eyes were dirty, my breath stank and my belly was all swollen like a barrel. I’ll spare you the full details of my toilet activities but the words ‘Mr’ and ‘Whippy’ were used by the hoomans on quite a few occasions, I’m not sure what it means but judging by the look of horror on their faces, it is not a good thing. 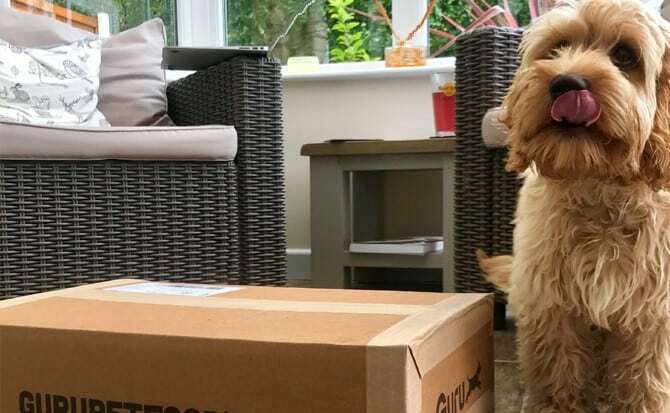 Luckily for me my new hoomum does a LOT of research online before committing to anything these days and she had already read up about what makes a fantastic dog food. 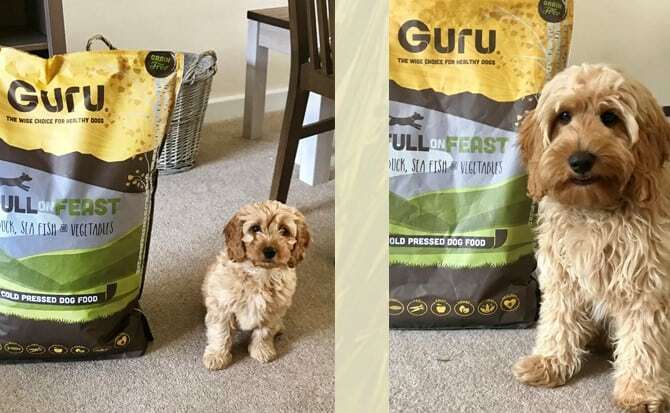 After looking up the details of the food I had been eating she wasn’t very impressed with it at all and before I had even arrived home she had ordered samples of both Guru flavours for me to try. She chose Guru for me after reading about the cold pressing methods and how because the ingredients aren’t cooked they retain all of their vitamins and goodness. The general advice given is to ween a puppy on to any new food slowly by replacing 10% more of the old food with the new food each day. There was no way I was going to let that happen, once I had tasted the delicious Full on Feast pieces I couldn’t go back to my old food so I kept leaving it in my bowl and refusing to eat it. The hoomans had no choice but to give me the full portion of Guru. Haha, I win. Not only was I eating a much tastier food everyday but within a few days I was looking, feeling and going to the toilet much better. My eye stains disappeared, my swollen belly went away and I was producing my very own healthy little lawn logs that any pup would be proud of. I’ve managed to convince hoomum to add a little warm water and coconut oil to my meals to make them EVEN tastier, it’s worth waiting 5 more minutes for and the coconut oil is really good for keeping my coat shiny. 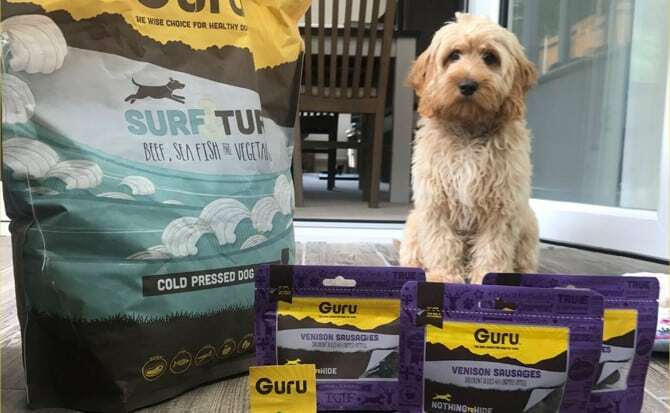 Guru really does tick every box for me, it’s tasty, as good as raw yet way more convenient, gentle on sensitive tums and to top it off, it’s produced by a super friendly family run business. Evie has been working on her own blog site for a month or so now, she enjoys writing about her outdoor adventures and favourite doggy products. If you have enjoyed her ramblings you can find more at eviepoo.com or follow her @EvieThePoo Twitter and Instagram feeds.